Disney wants you to have unlimited access to almost everything it's ever created. Isn't that nice of Uncle Walt? In a move which is sure to excite kids and parents alike, yet put the weight of yet another tenner-a-month subscription upon the adult party's bank balance, Disney is set to launch its new DisneyLife service in the UK this November. The facile description is the classic 'Netflix of…' one, but DisneyLife promises to be so much more than just a simple repository of its movies and TV shows. As well as offering access to Disney and Disney Pixar movies, its TV channels and TV box sets, there also promises to be a wealth of music and books too. DisneyLife is being prepared as a primarily mobile experience for iOS and Android devices making your tablet the perfect book-at-bedtime device. It also offers a temporary offline service, allowing you to download content when you're connected to a network and retain access when you're on the move. Keeping your little Disney Princess quiet in the back of the car on those long journeys will become that little bit easier. 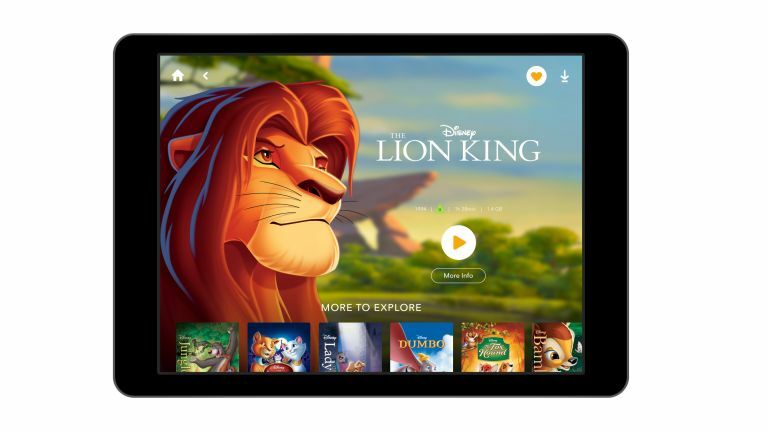 But if you are concerned with the amount of tablet-time your child is getting DisneyLife does also come with simple parental controls to limit the usage of the app on a weekday or weekend basis. And with up to six different profiles able to be attached to one account you can tailor those limits to specific logins. Though it is being aimed at mobile first, by adding in both AirPlay and Chromecast functionality it will be easy to get the DisneyLife content out onto your TV or your stereo setup. DisneyLife is launching in November this year for £9.99 per month. Your kid's are probably going to want one of these too...hell, we want one of these!